The Pizza Files: Home Made Pizza July 2011. Binge 2011 Stop 11. Home Made Pizza July 2011. Binge 2011 Stop 11. Home Made, yes the Chief made pizza! Actually with some very good help he made bruschetta, antipasto, pizza and raspberry ice cream. The olive oil, fresh mozzarella, pancetta and baby arugula was probably the best of the night. Highly Recommended, if only you can get on the list. 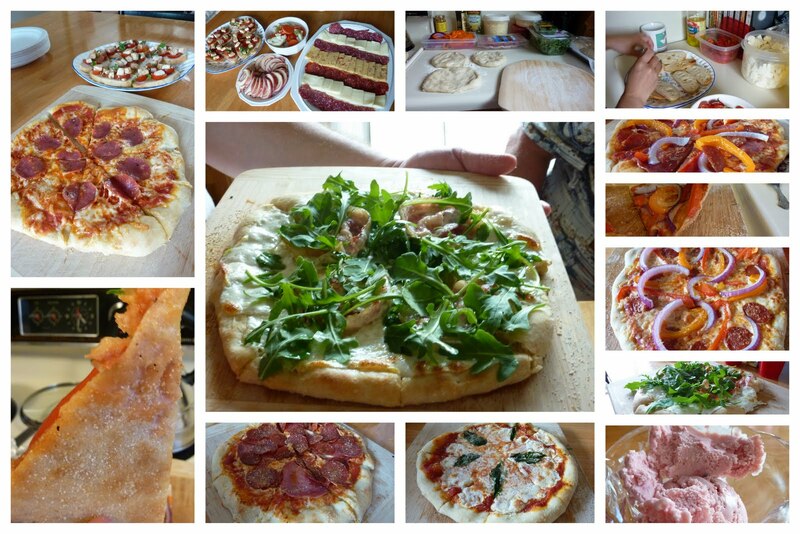 Home Made Pizza July 2011. Binge 2011 Stop 12. Stefanina's July 2011. Binge 2011 Stop 9.